On Nov. 6, 2018 was Election Day in Illinois. 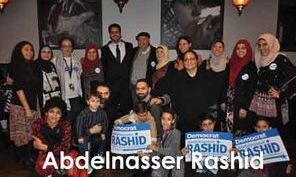 Abdelnasser Rashid held his election night watch party in Pita Pita Mediterranean Grill Orland Park, IL. They were watching the local and national polls come in and will have guest speakers throughout the evening. It was a close call for Abdelnasser Rashid but he ran a good race.